Although not many of us like to think about what happens at the end of our lives, it’s important to be prepared whether we like it or not. Having life insurance on your side can only help for when the time comes, but there are some myths and fears about the plan that may deter people away from it. 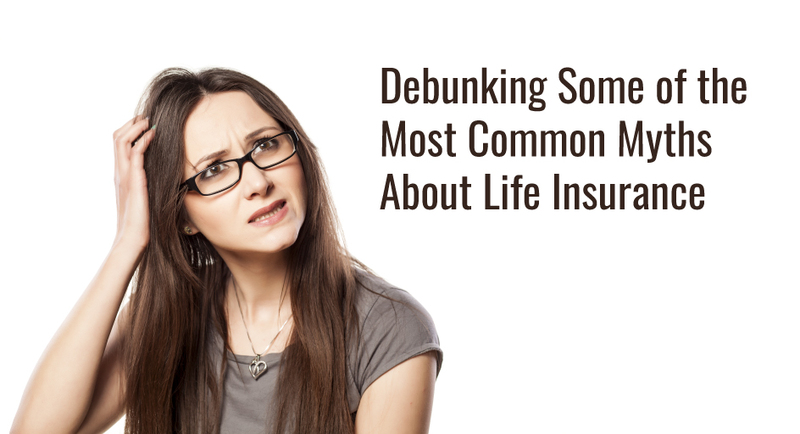 To clear up any confusion, we have debunked some of the most common myths about life insurance. The truth might surprise you! It is very understandable that when looking into investing in insurance, you don’t want it to cost you an arm and leg. While the coverage is important to have, you don’t want it to drain your account. One of the main reasons why so many turn down life insurance is because they believe it’s too expensive; however, that is not the case. According to a study performed by Life Happens, approximately 80% of people misjudge how costly life insurance truly is. In fact, plans such as term life insurance are more affordable than you might think. Plus, you can always change or add coverages to your plan over time. If you’re on a budget, give your agent a call to see what plan works best for you. There are many factors that go into how much your life insurance will cost, including your age and health. While many think that being young and healthy means you don’t need life insurance, it’s actually not true. Chances are you will need life insurance down the road when you are older and your health has changed. If you wait until then, your life insurance cost will be higher than when you were young and healthy. It’s best to go ahead and purchase life insurance so you don’t have to worry about major expenses later on. Take advantage of this part of your life so even when you are not in good condition later, you don’t have to pay for it. As stated before, your health does influence the cost of life insurance. While you may be paying more on life insurance for serious health problems, this does not mean it’s not available at all. However, it is true that if you have a terminal illness, some coverages may not be available. In any case, it would be wise to speak with your agent about your options when your health changes so you receive the best coverage for the right price. While it’s true that health typically declines as you get older, this still does not mean life insurance isn’t available for the elderly. In fact, there are important coverages available such as final expense which can help with funeral and burial costs. While we may not like to think about this stage of life, it cannot be ignored. Therefore, the elderly are able to have life insurance available even in their final moments to help after they are gone. While it is true that life insurance is beneficial to those who have others depending on them, such as children or their spouse, that doesn’t mean single people don’t need life insurance at all. In the event that you are single and pass away, you can still be left with debt from loans that were previously drawn out. The expenses will be transferred to co-signers or immediate family to take care of which is the last thing that needs to happen after losing a loved one. However with life insurance, you don’t have to worry about anyone taking on your debt after you are gone. Life insurance will also handle any burial and funeral expenses so the family can properly grieve. Also, keep in mind that plans change throughout time. So while you may be single now, that doesn’t mean it is a permanent deal. In the event that you may have children in the future or get married, having life insurance now can save you later. While it is great to accept life insurance through your work, keep in mind that it is not transferable when or if you leave for another job. If you have your own life insurance account not through your work, you don’t have to worry about the possibility of not being insured when something changes.